smooth and full taste, with a rich roasting aroma and a slight sense of orchid flower. 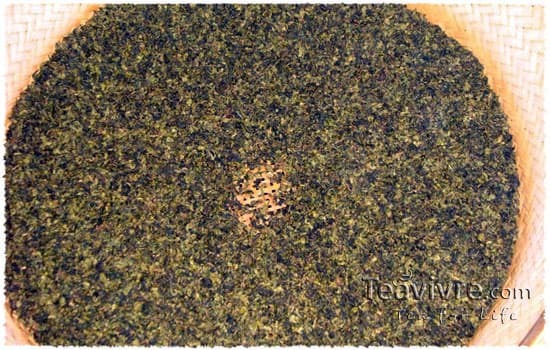 High quality roasted Tie Guan Yin. Yun Xiang (韵香) means roasted. Roasting is the key process step for Yunxiang Tie Guan Yin’s feature: sweet and mellow flavor, very bright liquid. 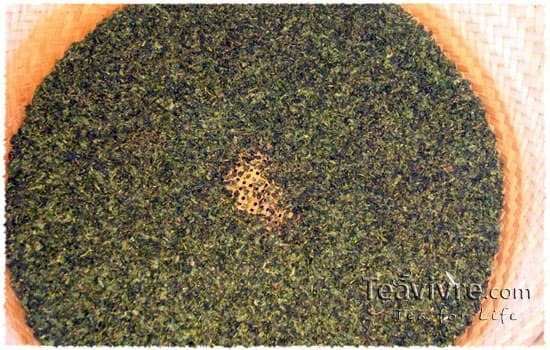 Usually, people who want to drink Tie Guan Yin will start with Qingxiang Tie Guan Yin, which is the base of Yunxiang tea. 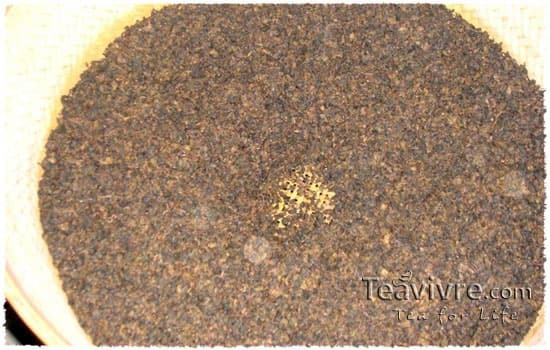 By roasting the Qingxiang tea, we can get the Yunxiang tea. Yunxiang tea has long-lasting aroma, but requires more skill and patience for the makers, especially hand-made tea. During the roasting process, the tea will be roasted for 3 or 4 times, for over 8 hours of each time. The maker must control the temperature carefully, and judge the tea’s quality with his experience. We may say that fine roasted oolong tea is made under a strict “fire” trial. There are multiple types of Tie Guan Yin in China. It is traditionally divided into three types: Qingxiang, Yunxiang and Nongxiang (浓香). Qingxiang Tie Guan Yin is known as its high aroma and brisk flavor, also called as the GuanYinYun (观音韵). Giving some charcoal fire into the making of Qingxiang tea, it can be transferred into a different type – the Yunxiang Tie Guan Yin, which tastes mellow and full. It has heavy roasting flavor, long-lasting aroma, while keeps the smooth and sweet taste of Qingxiang tea. It is also called as charcoal roasted Tie Guan Yin. Hand-made charcoal roasted Tie Guan Yin takes much more efforts during making. The Nanqi Tea Garden, situated at an elevation of between 800 and 1000 meters, is located in Houtian Village of Longjuan Township in Anxi, China. The climate here is warm and moist throughout the year with an average temperature between 16 and 19℃ and an annual rainfall of around 1800mm. 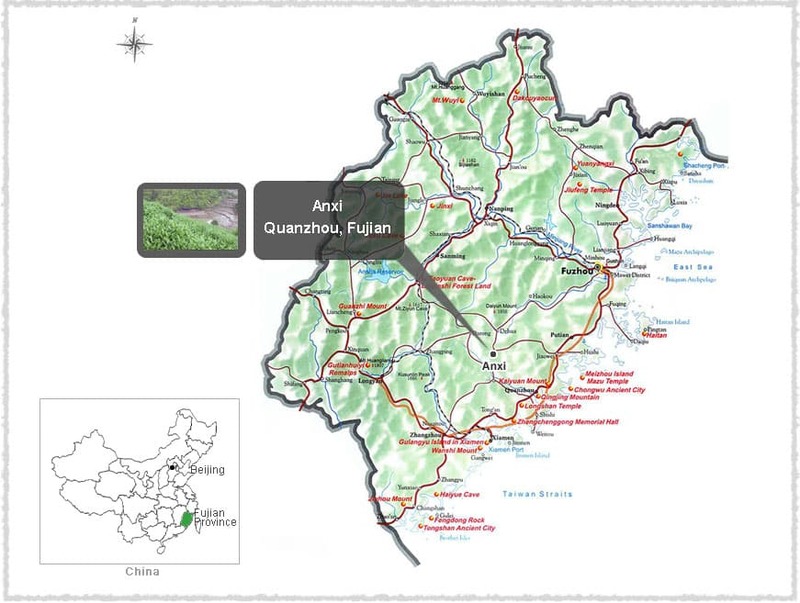 Nanqi is a superstar tieguanyin growing region, with the tea planted here of excellent quality due to the ecologically unique natural environment. Perhaps more significantly, the local people are hard workers who know very well how to make tea. 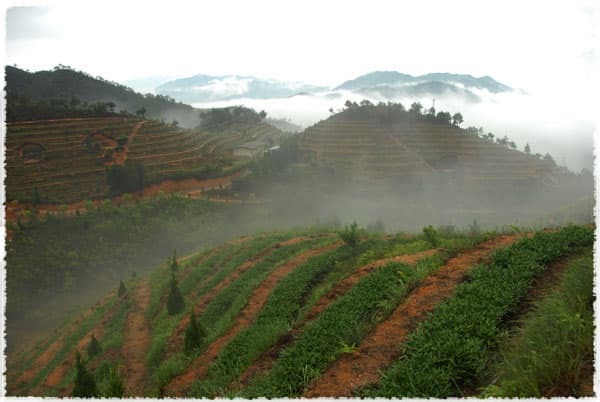 Their traditional methods of processing give Nanqi tieguanyin its unique Guan Yin taste, aroma, and feel: sun-withering, spreading, fixation, rolling, forming, and roasting. The orchid aroma of Nanqi tieguanyin is starting to become known throughout the world. 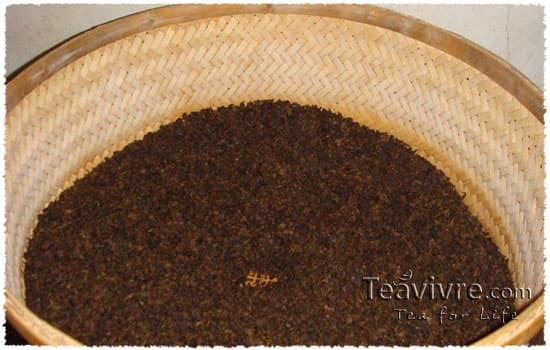 TeaVivre: A sour flavor might not show that tea has gone bad, or that it is of bad quality: sometimes the sourness is due to something called tuo suan (拖酸), or ‘drawing out the sourness’. 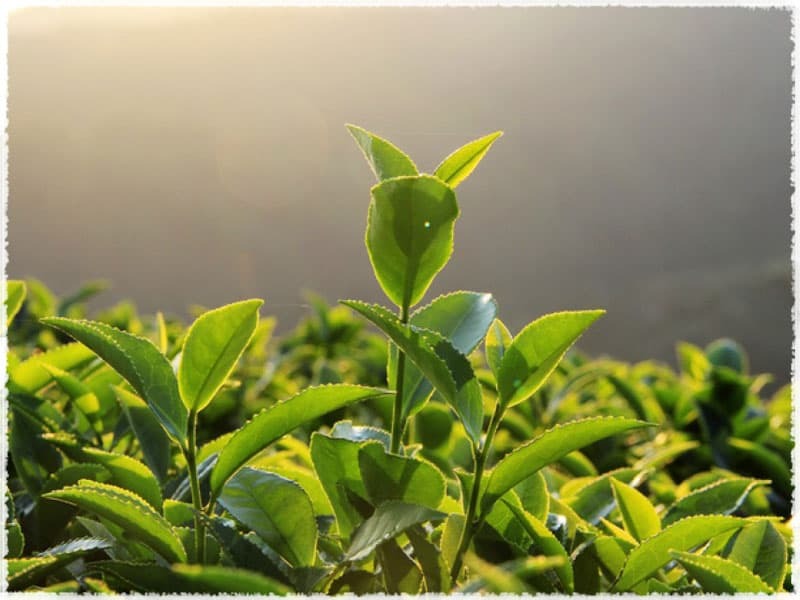 Tea leaves are not pan-fired immediately after being picked; they may be put aside for two to three days, during which the leaves may oxidize and spontaneous ferment, which is what develops that sour flavor. This is part of the production method in preparation for ‘stir fixation’. The skill of roasting tea can be found in ancient China. In Ming Dynasty, the book Investigation into Tea(《茶笺》by Wen Long) wrote: The Classic of Tea does mention the procedure of “steaming and baking,” indicating a long history behind this procedure. 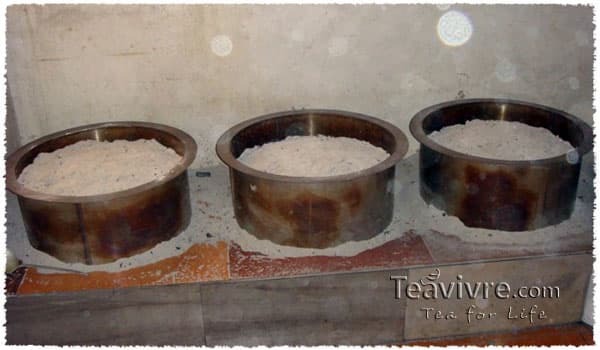 In Dos and Don’ts in Tea Appreciation (Pin Cha Yao Lu)by Huang Ru, it is recorded: Once taken out from molds, the cakes should be on a big round shallow plate baked over fire to be heated thoroughly. The fire should be half smothered with charcoal, with a hollow inside to let go the heat. Jiang Xin and Jiang Yi (2009) The Classic of Tea & The Sequel to The Classic of Tea, Hunan: Hunan People’s Publishing House, ISBN 978-7-5438-5994-4. P227, P242. The tools using in roasting are simple. But the process is a hard work. A repeatedly check on every 15 to 20 minutes is needed, in order to control the temperature changing and tea leaf’s quality changing. Charcoal roasted Tie Guan Yin has unique aroma and profound taste. The charcoal roasting flavor is pleasant, and the aroma can last longer than Qingxiang tea. There is an important procedure during roasting: covering ashes. Roasting is to use high temperature to change the tea leaf’s nature. The leaf, however, cannot be directly contacted with hot charcoal at hundreds degrees. The charcoal must be covered with ashes, to slow down the burning speed and control the temperature between 50℃ to 60℃. Meanwhile, the maker must check the leaf’s condition repeatedly. There should be no open fire; otherwise all the previous efforts will be wasted.